The distance between Dover and central London is 75 miles, so how are you planning to cover this huge distance? Well, the best way to travel this distance is by opting for a taxi or Minibus Hire in Dover. Go for the Taxi Hire at Dover Port without any hesitation as Minibus Transport Solutions is here to make your journey opulent. Whether you are travelling to the Dover seaport or arriving at the same, we can transfer you to the destined location without any hassle. If you are arriving at the Dover seaport for the first time, then we can also suggest you the best place to visit near Dover and in the London city. With years of experience in this field, we have a thorough understanding of the essence of a journey. It is assured that your journey is going to be fun laden and sophisticated. 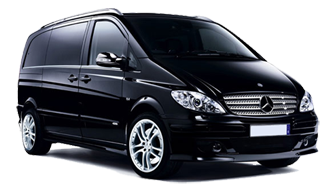 All kinds of Transportation Services in London are covered by us, including wedding, corporate tours, event tours and sightseeing. Respecting the needs of the customers, we are ready to answer their every need. We will be waiting at the taxi rank before you even reach there. Opting for Dover minibus hire with driver has never been easier than this. Not just top quality of the transfer, we also provide the fastest means of transport. Our packages for Dover port Minibus for Sightseeing Tours of places like Canterbury cathedral, Leeds Castle, White Cliffs of Dover, and Dover Castle. We stay updated with the timing of your flight and cruises hence you don’t have to worry in the case of the flight and cruise delay. Moreover, no extra charges are applied for the flight delay. Altogether, your journey is going to be free from all the hassles. The fleet of vehicles available at us include 7, 8, 9, 12, 14, 16 Seater Minibus Hire for Dover Port. All these vehicles are equipped with the gadgets that are meant to turn your journey into a blissful affair.Some of these high-end gadgets are DVD players, microphones, charging plugs, and air conditioning. Moreover, you will be also provided with drinking water and tissue papers. Additional arrangements can also be made on the demand of the customers. Just a few simple steps and you are done with the booking procedures. Start with the inquiry through the inquiry form available on the right side of our page. Start by entering your name, email address, and phone number. Next, follow up with the pickup and drop off location along with the message to inquire about. Once done with it, we will revert back to you with a proper solution.